WHAT: Become a community coach and help Toronto’s young athletes achieve their goals by attending this special mentorship training seminar. Attendees will learn from Nike running coaches and will later be paired with grassroot partner organizations like Start2Finish, Toronto Community Housing, Boys and Girls Clubs, Lane6 and Sole Sisters to create a positive impact on Toronto’s youth through volunteer opportunities. HOW TO JOIN: To register, click here. It is recommended that you apply for a Vulnerable Sector Check (commonly referred to as a Police Background Check) once your RSVP is confirmed. WHAT: To help you prepare for Chicago’s premier marathon, Elyse Kopecky, co-author of "Run Fast, East Slow" with Nike athlete and marathoner Shalane Flanagan, will host a nutrition seminar on how to structure your diet before race day. If you can’t make the seminar, you can still attend a number of in-store programs in October, with activities such as meditation sessions and customization opportunities. HOW TO JOIN: Click here to reserve a spot. WHAT: Women are invited to sign up for a personal bra fitting service at NikeTown London to find the perfect match for their running and training needs. HOW TO JOIN: Click here to reserve your appointment. WHAT: To celebrate the release of Kobe Bryant’s forthcoming book, "The Mamba Mentality: How I Play," The Grove in Los Angeles will host a conversation and book signing with Bryant himself. WHAT: Nike’s 45 Grand Studio is hosting a pop-up shop to kick off the launch of pro-BMX rider Nigel Sylvester’s Air Force 1 NikeiD palette. 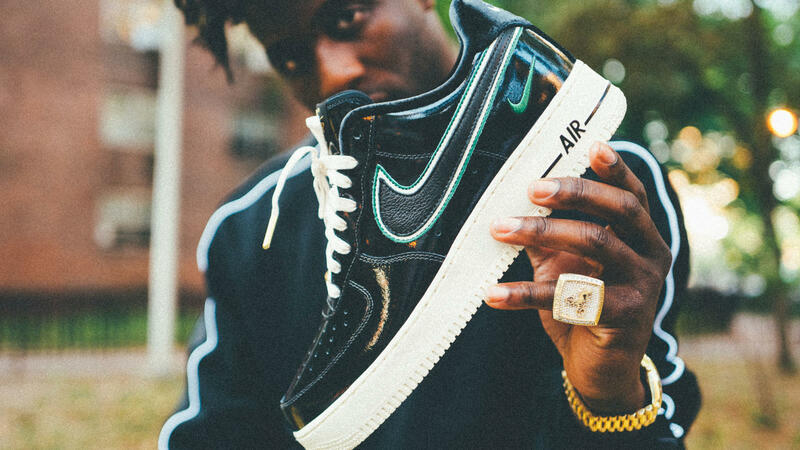 Attendees can purchase custom-made NikeiD AF-1 styles, featuring materials like patent leather, velvet and satin, and colorways like metallic gold and deep purple. Visitors can also customize their own Nike Sportswear tees. The Air Force 1 by Nigel NIKEiD releases October 11 on nike.com. WHAT: Purchase apparel from the new Nike NSW Sport Pack collection and customize it at Nike Soho with decals and lettering options. WHAT: Line the streets of downtown Chicago and cheer on 45,000 runners in the city’s namesake marathon. American and Nike athlete Galen Rupp will eye the new American marathon record and will attempt a repeat win against a talented field that includes British champion Mo Farah. WHERE: To watch runners closest to the start of the race, go to Grand Avenue, between Columbus Drive and State Street, near Mile 1, or anywhere along State Street, between Grand Avenue and Jackson Boulevard. To download the spectator guide, click here. HOW TO WATCH: Click here for spectator information. WHAT: Fans can once again connect with their favorite NBA players and teams through the Nike NBA Connected Jersey, which unlocks exclusive content through the NikeConnect App such as product access, draws for tickets, athlete playlists, game highlights and more.